Truth is, there’s a lot of contradictory and even outright false information floating around about steak. That’s why we rolled up our sleeves and created this guide just for you! And what we discovered is that there’s a perfect steak for all of you! Then you’ll be even more surprised when you discover what your perfect cut of steak is! 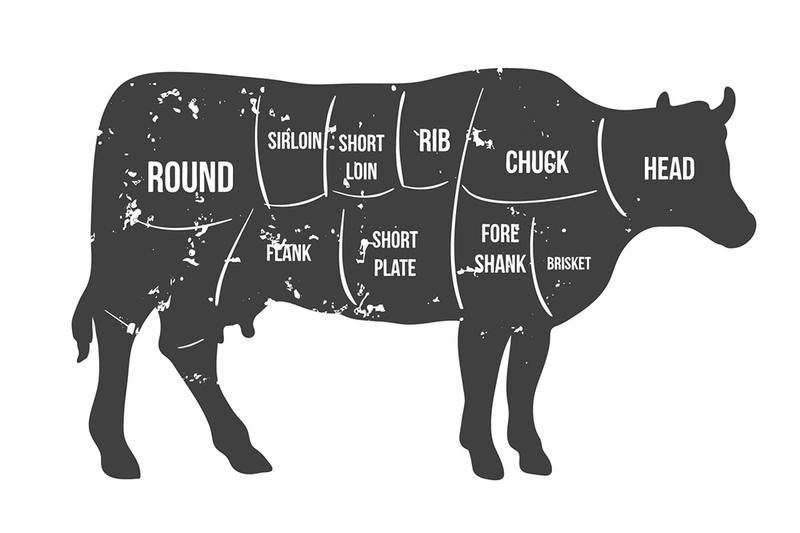 Before we can figure out what your perfect steak is, we must first learn where each cut comes from. 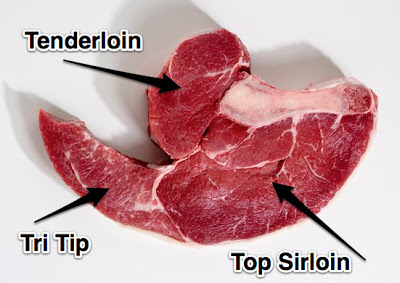 The sirloin is sandwiched between the round and the short loin, and above the flank. There are actually a few different portions of the sirloin that serve different purposes. As you can see above, the top sirloin is the biggest section of the sirloin. This is the part where most sirloin steaks are cut from (ours included). The sirloin actually wraps around the beef tenderloin which can tell you that the sirloin is a mostly tender steak. On the very bottom we have the tri-tip, which could be considered its own cut in the western United States. Not pictured is the sirloin tip roast which is a lean slow cooked meat. So… what does this tell us? The sirloin is a lean cut of meat that is great for grilling and the most tender of the economical steaks. This steak is perfect for big eaters on a budget. The short loin is perhaps the most confusing of the bunch because it encompasses so many different cuts. 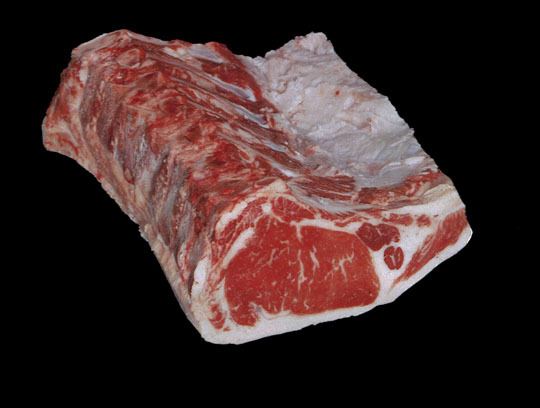 Included in this section of beef is the porterhouse, t-bone, New York Strip/Kansas City Strip, and the tenderloin itself (although it is technically it’s own section). The short loin runs along the spine of the cow and is directly between the sirloin and the rib, making this the most tender area. If you look on the back side, you might see a familiar cut, the porterhouse. What’s great about this cut is that it includes both the New York Strip and the Filet Mignon (tenderloin). On the front you see the Kansas City Strip, which is essentially a bone-in New York Strip. Right in the middle of the short loin is where your t-bone comes from. A porterhouse has the strip and the entire filet attached to it. The t-bone has the strip and a smaller portion of the filet attached to it. The Kansas City Strip is just the strip with no filet attached to it. 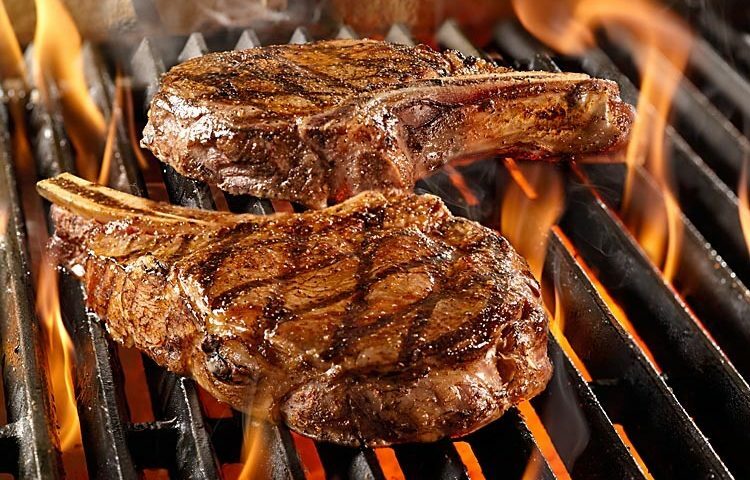 The three share two things in common: the New York Strip and they are all bone-in. 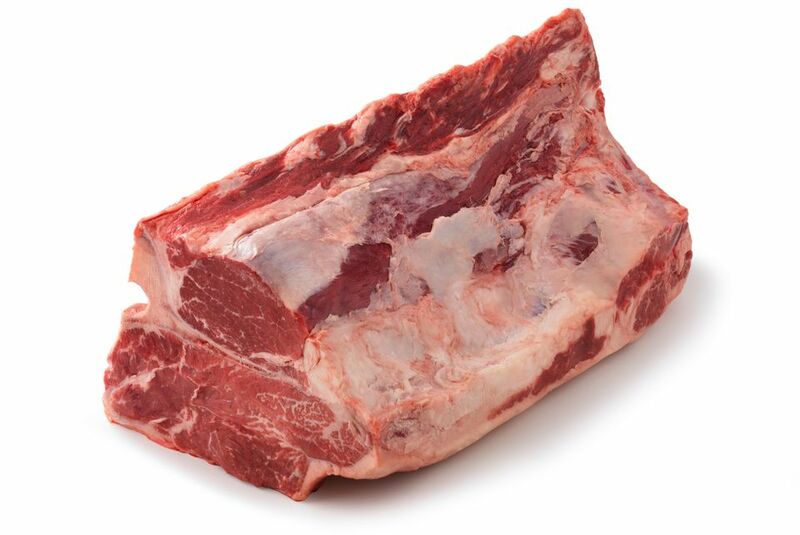 This is one of the more expensive sections of meat available because of the leanness, tenderness and demand of it. 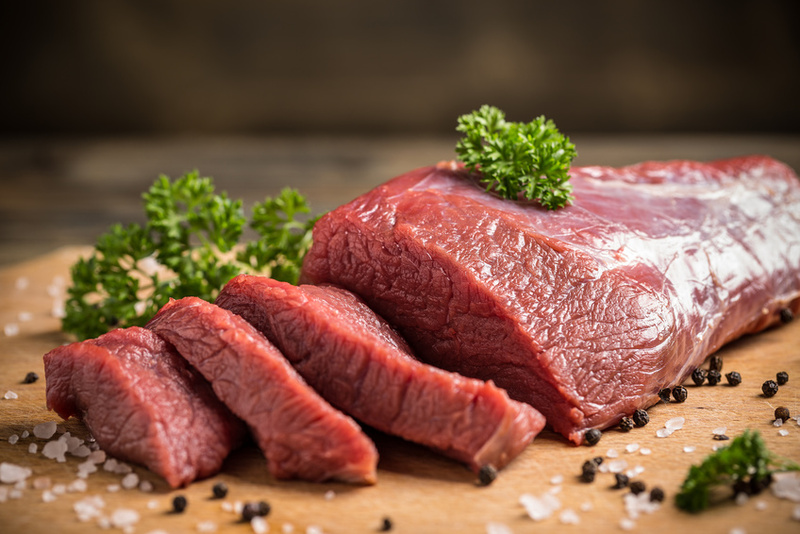 If you’re looking to entertain many big eaters, want to eat a leaner cut of meat, and have a little more money to spend, then any steak from this section is perfect for you. 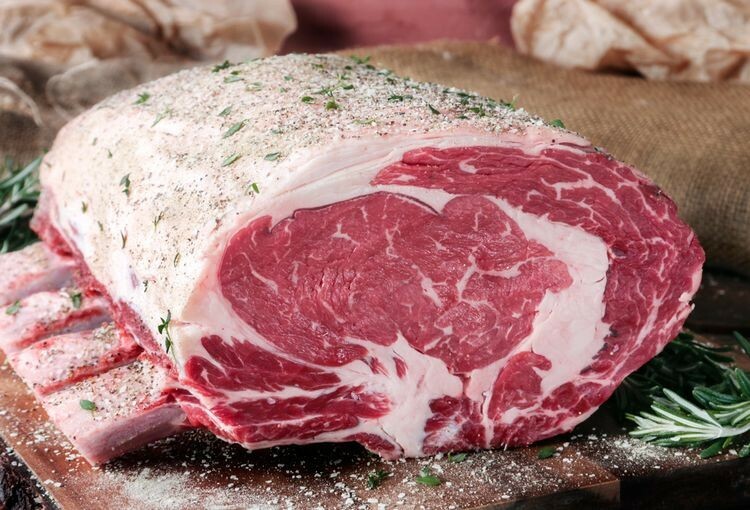 Located in front of the short loin and behind the chuck (shoulder), the rib is another fantastic cut. The rib is also a whole different beast because of its versatility. I’m sure many of you have eaten both prime rib and a ribeye steak. These are the exact same cut of meat prepared two vastly different ways. 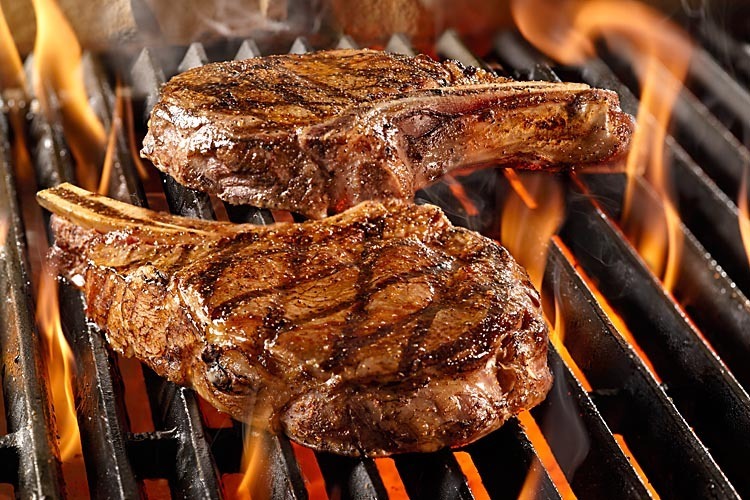 A prime rib is a roast, cooked at a generally slow temperature in the oven, whereas a ribeye steak is cooked quickly on the grill. Above you can see the two of them. It should be noted that this is a very fatty steak compared to the last two sections. This is one of the “tastier” cuts to be served because of the fat, which will cook into the meat when grilled properly. 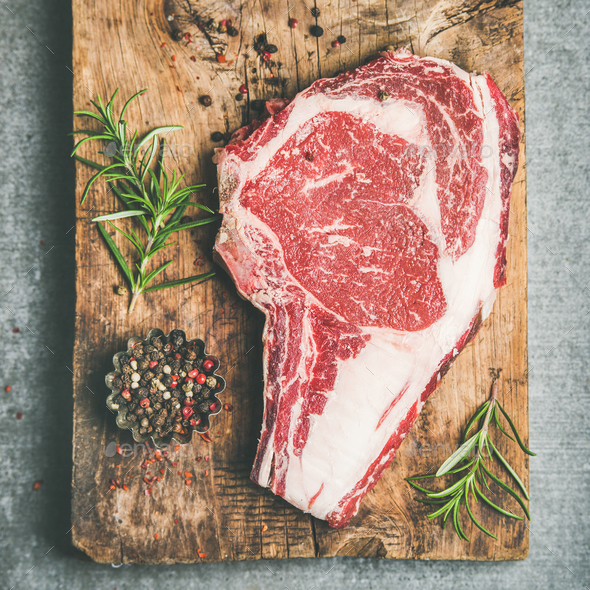 The ribeye does have a few different stage names that you should be on the lookout for, because butcher shops tend to use different terms. Delmonico (ours at Colony’s Quality Meats), Saratoga, Cowboy, and Spencer are all names this could potentially be sold as. This steak is perfect for those on a high fat diet, are big eaters, and have a little money to spend. Like I said before, the tenderloin is technically it’s own category, even though it was briefly included in the short loin. The tenderloin is the most tender portion of a cow, it’s in the name, silly. Not only is it the most tender, it’s also the most expensive, and rightfully so. The tenderloin can be served as both a steak and a roast. As you can see above, this is a very lean cut. This combined with the positioning of the steak makes it the most tender cut you can buy. So, if you have quite the budget and aren’t looking to devour 12-16oz of meat, the filet is perfect for you. And there you have it – you just learned what the perfect steak for you is, and all about it. And if you start applying what you learned immediately, it won’t be long before you are a steak master. 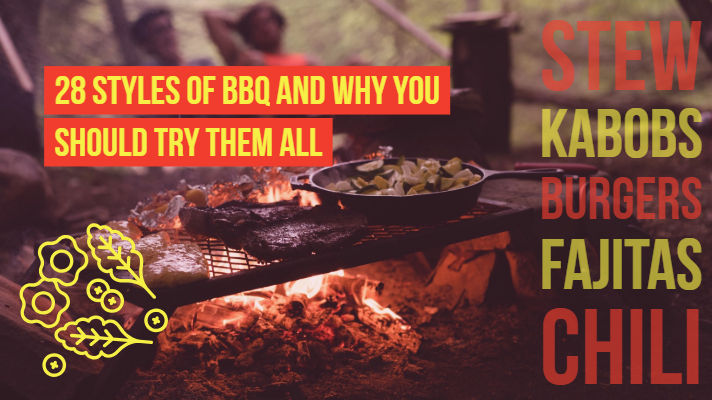 However, before you start grilling up each of these steaks to test them out, let me warn you: don’t waste your money if you can’t cook them. 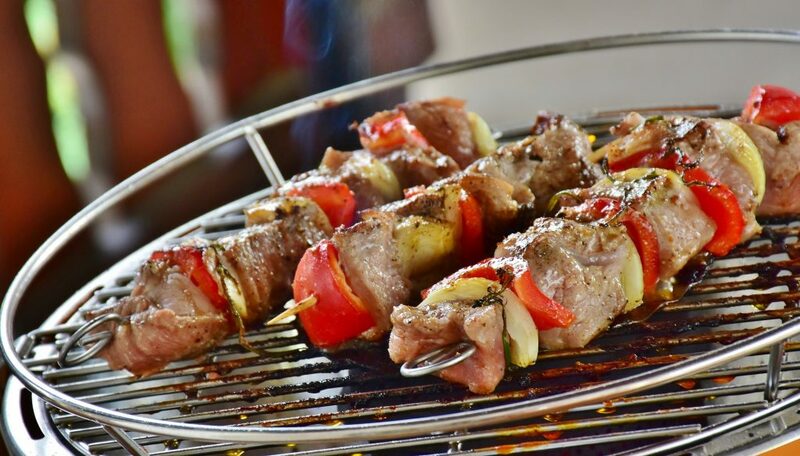 This is a fairly common mistake that quite a few beginner grilling enthusiasts make. Problem is, a lot of people don’t know what mistakes they’re even making. Fortunately, it’s easy to avoid. 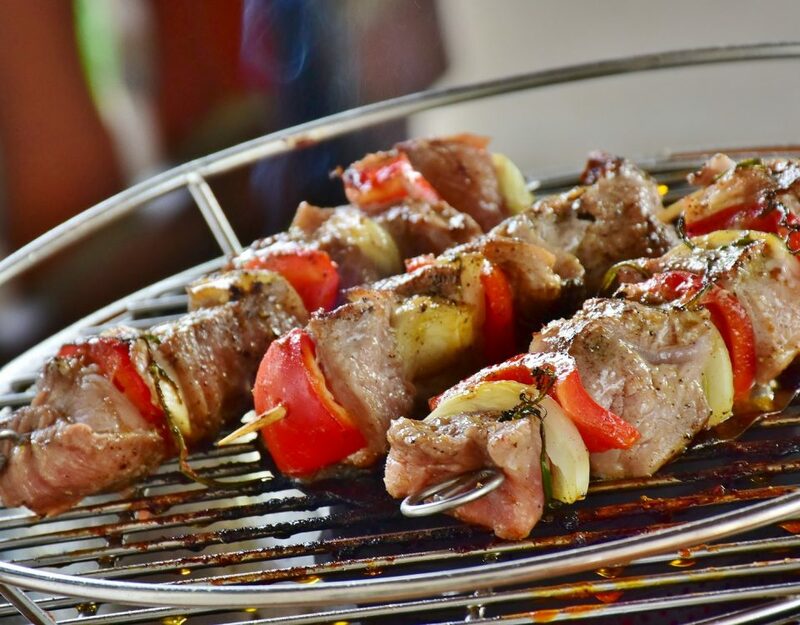 All you have to do is read our handy guide of common grilling mistakes and you’ll be all set! Plus, it never hurts to read it even if you’re a master, you might just learn something. So go ahead and get started by purchasing a fantastic hand cut steak by your local butchers, because you’re going to like cooking your perfect steak! Check out these articles while you’re here! Looking for some free recipes or updates on our specials? Just sign-up for our newsletter and you’ll start receiving the latest news and updates about us.